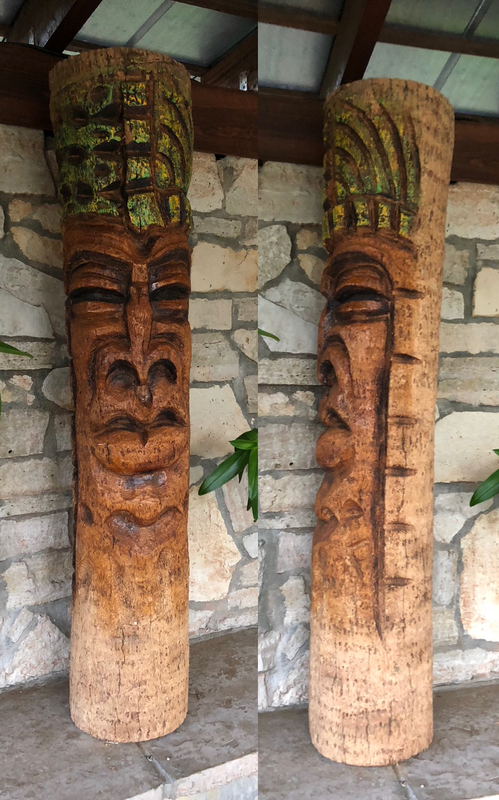 Here at Fine Garden & Home Products, we have been looking for the most unique Tiki carvings since we have been in business. 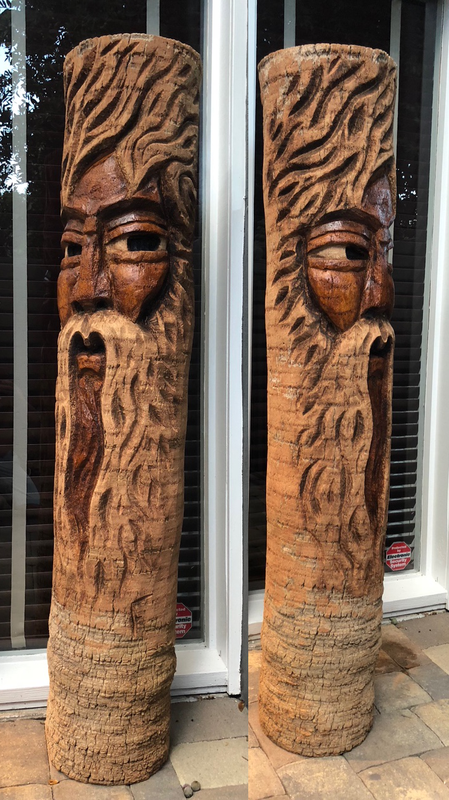 After searching for 20 years we have found handmade Tiki Poles from a NASA engineer that has retired. He worked on the heat-resistant tiles on the Space Shuttle. One of his Tiki went to the International Space Station and returned with a signed document from everyone at the space station. It was my honor and pleasure to drive and meet Mr. Tiki and bring home 4 unique hand-carved Tiki's. I was not sure the difference between a Tiki and a Totem pole. 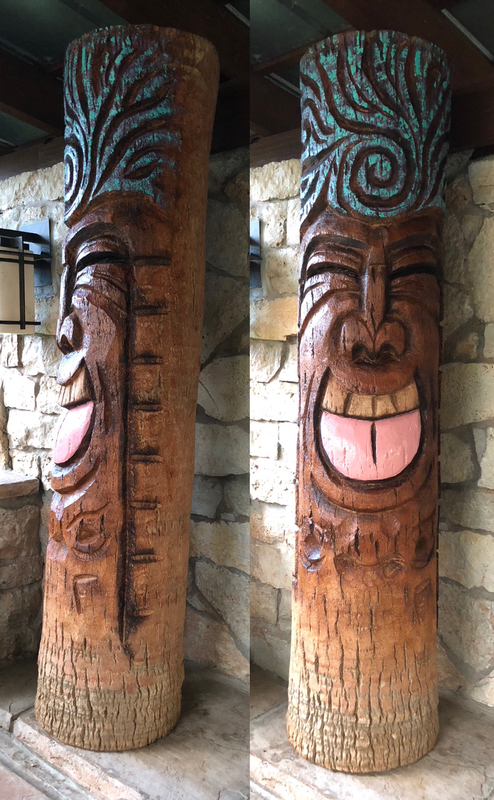 Mr. Tiki himself informed me that the Totem Pole has multiple faces on the pole traditional like you would see in Alaska. The Tiki only has one face on them. Mr. Tiki carves each by hand from his memory; no computers, no chainsaw, just his imagination and memory and hand carving tools. Each is made of Sago Palm Trees which he sources from landscape friends. 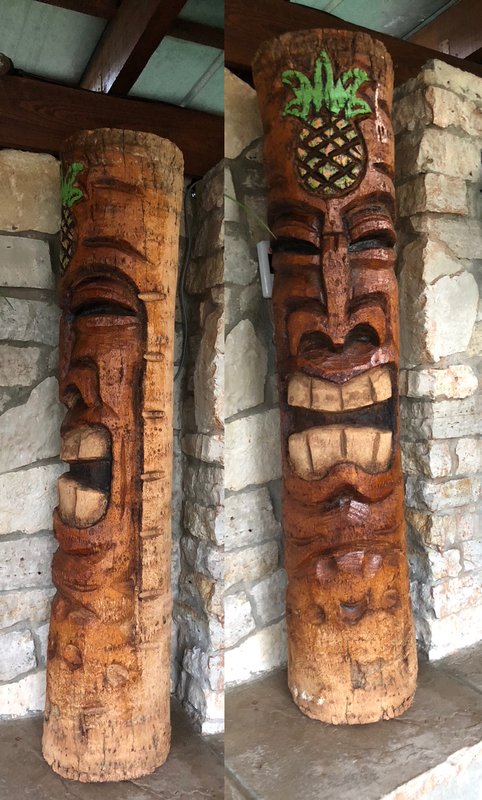 These very unique Tiki's are in limited in quantity and are one of a kind. We present Mr. Tiki’s limited Tiki's. 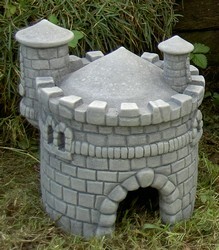 Mr. Tiki goes the extra mile and varnishes the top and swirls it with crushed stone. Then he exposes the top with tree rings to make each unique. 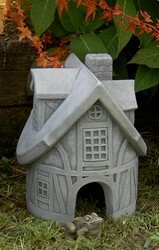 We are proud to make these available to all who would like to have a one of a kind Tiki to cherish. Custom built hand-crafted items are made especially for you and are unable to be canceled or returned. 897 points will be rewarded to you when you buy this item.